Nothing beats the power and performance of a fire hose. Weve scaled it down for added comfort and control to produce the perfect size for home and garden use. The Sun Joe SJI-UFH Ultimate High Pressure Flow Fireman's Nozzle features reliable, smooth operation every time. Wash the car, water the flowers or simply rinse your siding clean it quickly and easily adjusts from gentle spray to high-pressure stream in one smooth motion to ensure maximum water pressure where you want it. Durable, rubberized easy-grip handle and nozzle resists damage, rust, leakage, and stands up to abuse for years of reliable operation and a lifetime of dependable performance. Ultimate High Pressure Flow Fireman's Nozzle Nothing beats the power and performance of a fire hose. Weve scaled it down for added comfort and control to produce the perfect size for home and garden use. The Sun Joe SJI-UFH Ultimate High Pressure Flow Fireman's Nozzle features reliable, smooth operation every time. Wash the car, water the flowers or simply rinse your siding clean it quickly and easily adjusts from gentle spray to high-pressure stream in one smooth motion to ensure maximum water pressure where you want it. 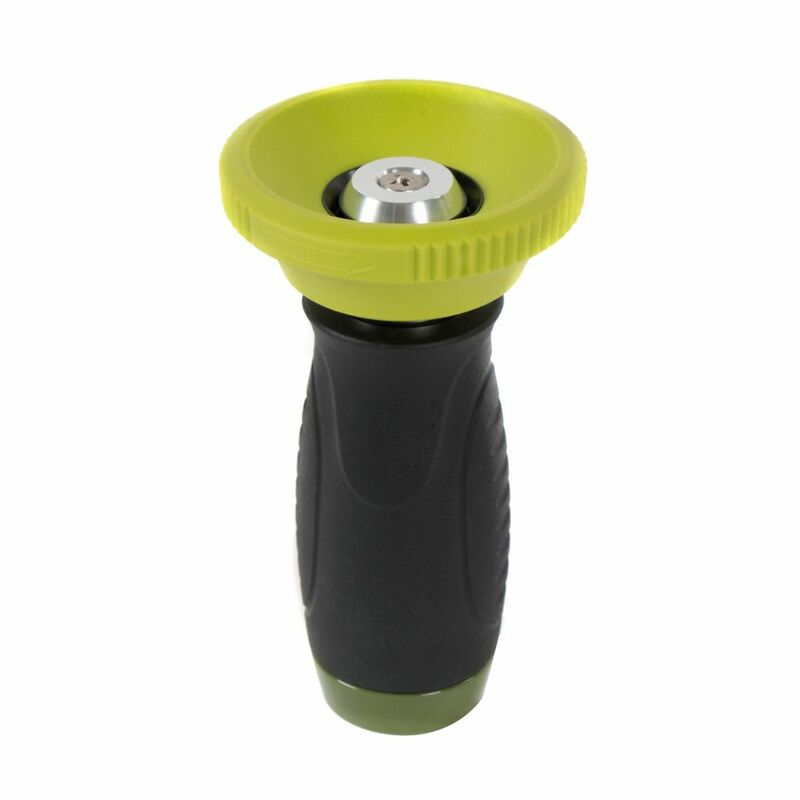 Durable, rubberized easy-grip handle and nozzle resists damage, rust, leakage, and stands up to abuse for years of reliable operation and a lifetime of dependable performance. Ultimate High Pressure Flow Fireman's Nozzle is rated 3.0 out of 5 by 3. Rated 5 out of 5 by Dan S from Nice nozzle Needed a new nozzle and kept buying cheap nozzles and they would only last a short time.Now I have one that will last. Rated 1 out of 5 by Thekingjp from Garbage! This thing is complete junk. The water pressure junk and leaks after a few weeks. Rated 3 out of 5 by shadetree from Good but needs a shut off valve. Works good, as advertised. After using it several times I wish it had a shut off valve that I could stop water flow without having to twist the nozzle several times. This means you have to adjust the spray pattern each time you need to stop water flow.